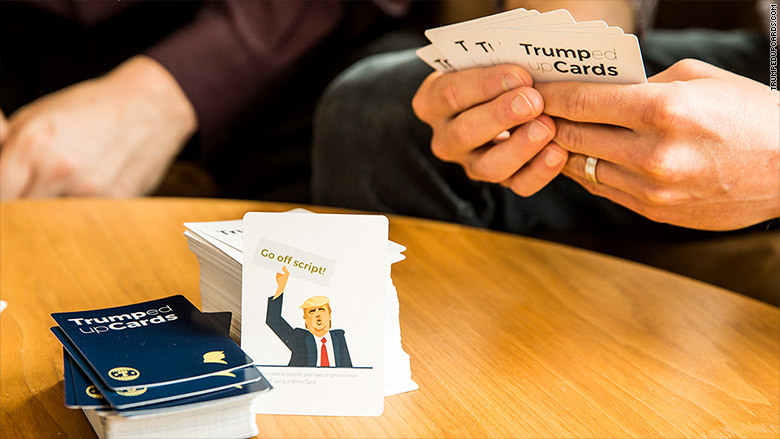 The man who gave us LinkedIn just unveiled his latest creation: a card game inspired by Donald Trump. 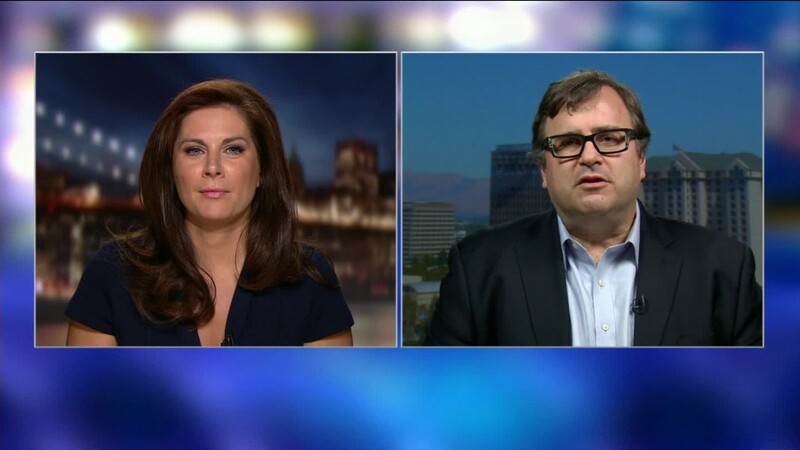 Reid Hoffman, the cofounder and executive chairman of LinkedIn (LNKD), announced a new card game on Wednesday called Trumped Up Cards: The World's Biggest Deck. The tagline says it all: "This is a game. Democracy isn't." "Initially, we made Trumped Up Cards for friends, family, and anyone else who seemed like they had a healthy sense of humor and happened to be in the vicinity when we were giving them out as gifts," Hoffman wrote in a post on Medium. "The response was encouraging." The game is similar to Cards Against Humanity, where players thrown down their best (or most absurd) responses from the deck to a series of questions. In this case, it's more political -- and definitely not flattering to Trump. In one example on the game's website, the question card says "What's the biggest threat facing America?" The responses from players include: "Crying babies," "Unreleased tax returns" and "That semi-obscene Trump Pence logo." The deck also includes 40 Trump Cards (of course) which "give players special and often unfair advantages to alter gameplay in fun, surprising, and dramatic ways." The game is clearly satire, but the hope is to raise real money for charity. It costs $20.16 (get it?) to buy online. All profits will go to "charities that are already working to keep America great," according to Hoffman. The LinkedIn executive is quickly making Trump-trolling his full-time job. Earlier this week, Hoffman pledged to donate as much as $5 million to veterans organizations if Trump releases his tax returns before the final presidential debate. As Hoffman pointed out, that is the same amount Trump offered to donate in 2012 if President Obama released his college transcripts and passport applications. Microsoft agreed to buy LinkedIn for $26.2 billion in June. The deal is expected to close later this year. Hoffman was one of dozens of business executives to publicly endorse Hillary Clinton in June. Since then, he has not minced words when talking about the prospect of a Trump presidency. "I'd say at the moment I'm in denial," he said at TechCrunch Disrupt on Tuesday. "A candidate who has demonstrated no public service that I'm aware of ... is terrifying for U.S. and foreign relations."